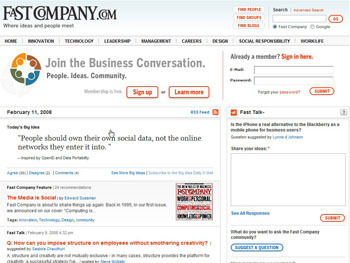 Fast Company redesigned their site, adding social features. I must admit that when I first heard about the redesign I wondered if this was another example of a traditional company trying to hop on board with the latest thing (social features). I decided to check it out. Why would I put images, video, audio and documents on their social site? Don’t people go there for information? Why would I create a network there, put my events there, and heaven help me, why would I blog there? And they have a widget for their blogs…so I can place their blog entries on my own site? I looked around their groups. One of their featured groups, Technology, was created in January, has 109 members…and 10 comments of which I could only view 2 for some reason. 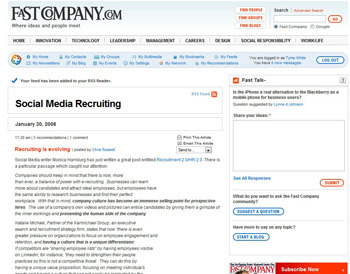 Fast Company is not Facebook. Recommendations and Bookmarks are great ideas. They focus on the content, which should be their focus. Their niche person is the business person, who probably has social network accounts elsewhere. There isn’t a reason to join this network and do what the person is already doing elsewhere. How did SPAM get in my feed reader? My Feeds has 683 things I didn’t subscribe to! And guess what? I don’t see a way to delete all 683 of these items I didn’t ask for. I can mark them read but I cannot delete them…that I can see. 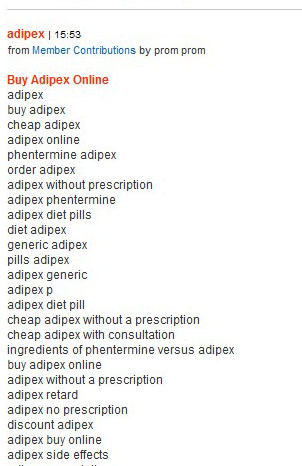 And please don’t get me started on the half descriptions for articles on their front page. If you look at the image above you will see they use a cut-off method instead of a more professional summary method like ArsTechnica or cNet. You know so the reader has an idea what the article is about. Miserable effort Fast Company. Miserable. I hope you put more thought into your video network. What do I know? I’m not the designer of The Triad. Maybe people enjoy being forced to read feeds on a site instead of their feed reader and, when they go to read the feed, are bombarded with 683 spam (new member, remember that) rendering it almost impossible to find the article I subscribed to. Yeah…what do I know?